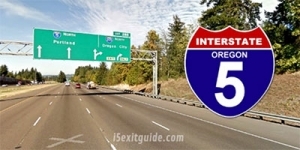 “I am working on a high-profile Oregon Department of Transportation (ODOT) project that involves one of the major connectors to I-5. When construction began, ODOT faced the public’s negative reaction to the traffic impact and criticism from the region’s elected representatives. ODOT was forced to re-evaluate traffic control plans and the staging of the project. We were asked by ODOT to look for ways to accelerate the project while reducing, to the minimum, the impact to the public. “To develop possible solutions, I talked to our team about using Turbo’s Brainstorming Principles. We gathered together a group from both management and field personnel and brainstormed to generate an extensive list of possible solutions from all perspectives. “After developing an amazing list of possibilities, some of which were way out of the box, we evaluated each idea on the list. We came away with several realistic and workable ideas to present to ODOT. We have a meeting scheduled with ODOT to discuss the ideas generated from this exercise with hopes of coming to a consensus. “Thanks to Turbo’s Brainstorming Principles, we combined a great list of creative, team-generated ideas. I have confidence that we will use these brainstorming practices more often when we are faced with challenges on future projects. “The lesson I have earned from this experience, when we are facing major project challenges, is to look for as many ideas as we can possibly generate, finding a combination of several ideas can be the key to a project’s success. “The action I call you to take is to use brainstorming to generate alternative perspectives in all of your action planning and decision making. When you design, plan, purchase, and decide for any project, large or small, without including those who will execute, you are making a big mistake. 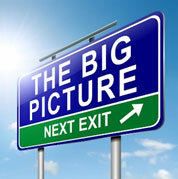 Include those who have the big picture in mind, an overview of the context (example: Project Managers) and those who have had experience on the ground with other similar projects (example: Superintendents) and those who are and will do the work (example: Operators). Openly ask, in a brainstorming framework, for all of their ideas – listen, write their ideas down – you will be amazed at the great ideas you discover. Now, execute at the highest possible level. The time you spend in this kind of planning will save you countless hours, capital, frustration and heart ache. 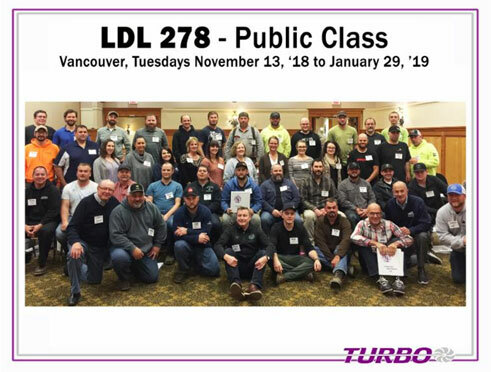 Congratulations to the graduates of Leadership Development Lab #278 – Vancouver!